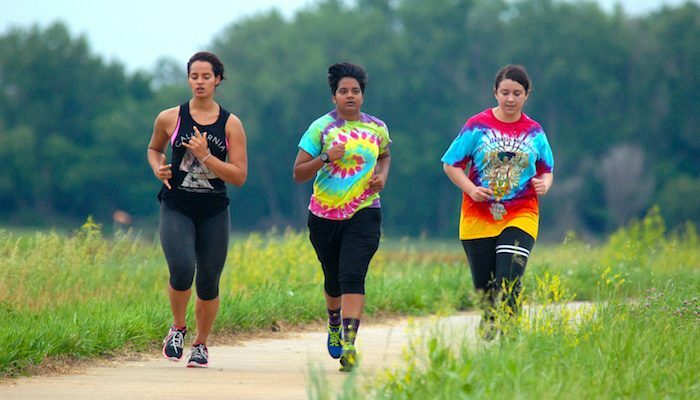 At 25 miles, the cement paved Keystone Trail is one of the longest and most popular paths in the Omaha area. It starts at the intersection of 88th and Fort Streets in northwest Omaha and runs south along Papillion Creek until it’s junction with the Missouri River near Route 34. Here, it connects with the Bellevue Loop Trail which follows the Missouri back north to Haworth Park. There are numerous options for starting this run depending on where you are located. The most central location is near Peak Performance at 78th & Cass Ave. From here, you can run north for two miles or south for many more. Other good starting points are Democracy Park, in North Central Omaha at the north end of the trail, Seymour Smith Park in Ralston, or the end of the Bellevue Loop in Haworth Park. 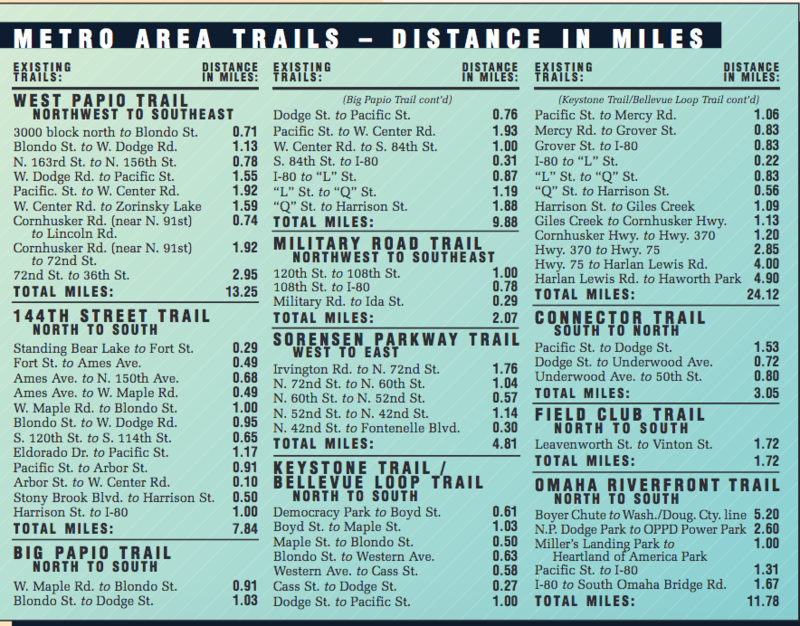 See below for trail info & segment distances.